You can eradicate any disease or life problem, once and for all, by knowing the true cause and eliminating it. 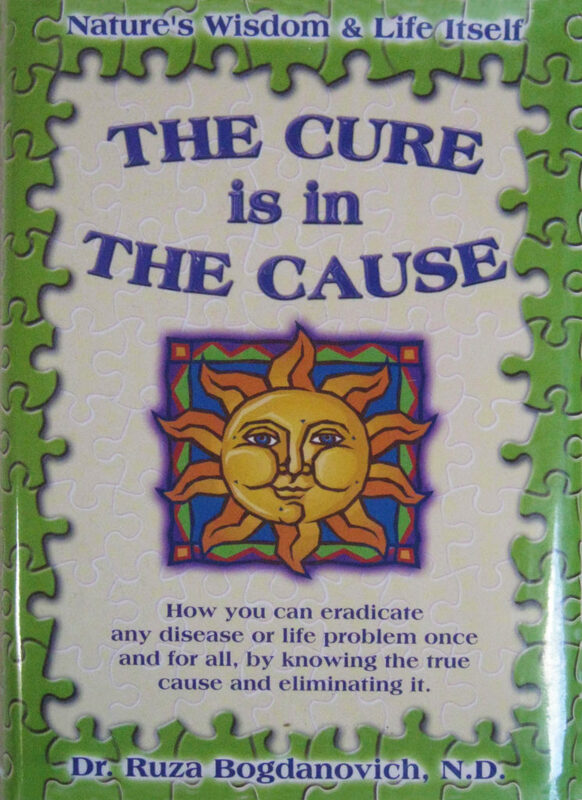 The Cure is in the Cause will take you on an exploration of that which is not a secret but rather the overlooked and totally missed truth of Nature’s immutable law of cause and effect. When you draw on this wisdom, you can eradicate any disease or problem and make simple connections that will set you free. This simple truth has finally come to light at the time when the world desperately needs it in order to continue our survival. This guide book has the power to crystallize your perception of why, where and how in your life’s situation, you and your loved ones are affected with consequences, so that it can direct you step by step with truth and light for an awakened future. It will change lives forever and finally free humanity of dogmas and any disease. “Love Your Pet Let Nature Be The Vet” book is now available in e-book format. NB! You can get “Love Your Pet Let Nature Be The Vet” in Croatian here. 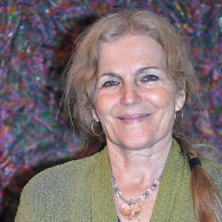 Ruza Bogdanovich holds a Doctor of Naturopathy and Nutrition from Clayton College of Natural Health and is a member of the American Naturopathic Medical Association. In addition, she has studied privately with some of the great masters of natural health and healing like Dr. Bernard Jensen. She gives credit to the pioneers and proponents of natural health, Dr. Bernarr, Dr. H. Kellogg, Dr. R. Mendelson, Dr. Christopher, Dr. Herbert Shelton, Dr. J. Tilden, Dr. R. Anderson, and all the other true healers who have followed Nature’s Law and helped heal people without drugs or unnecessary surgery. 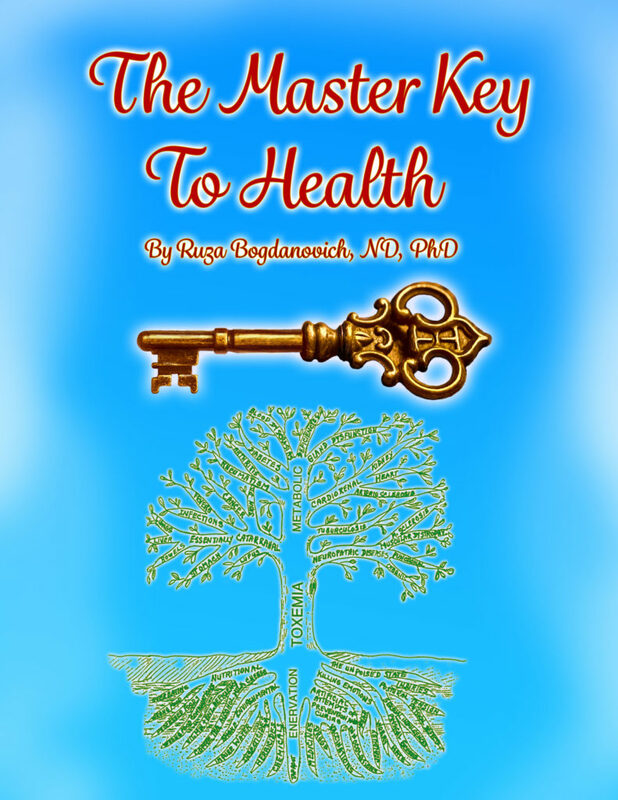 Ruza is an internationally renowned lecturer and consultant on raw food nutrition and healthy living. Her groundbreaking book, THE CURE IS IN THE CAUSE , prompted articles in health magazines, appearances on TV and radio, and lead to a local Public Television series on natural therapies and true nutrition. She is co-founder of The Cure is in The Cause Foundation, a non-profit organization dedicated exclusively to the truth behind true nutrition, prevention of degenerative disease, and most close to her heart, the health and well-being of our children and pets. The Foundation works tirelessly to develop public awareness and understanding of Nature’s healing processes. She adamantly believes the body, given the right opportunity and removing the true cause of disease, does its own healing. 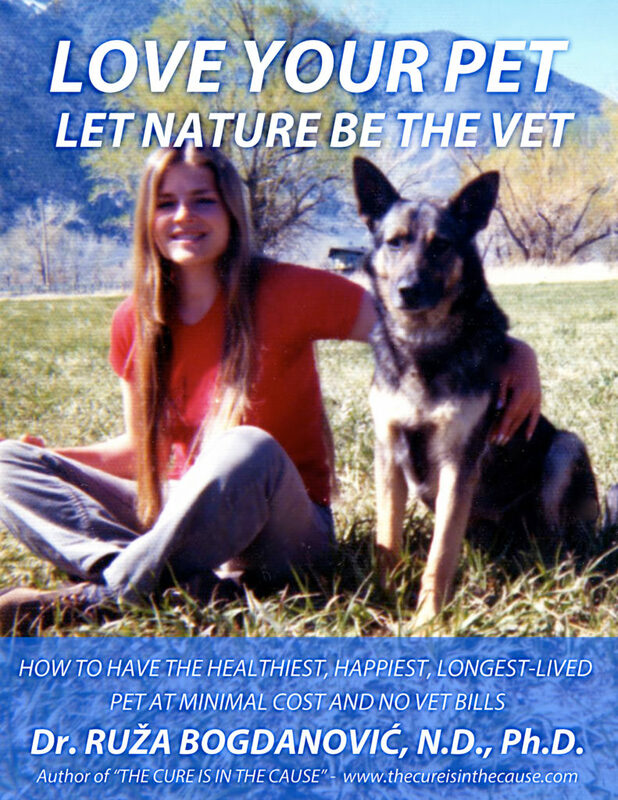 Her latest book, LOVE YOUR PET, LET NATURE BE THE VET, pre-sold hundreds of copies before even being published. She has another book scheduled for release this June. This book is actually two in one: TOO MUCH THINKING AND NOT ENOUGH POOPING and INSTANT, WHOLE FOOD RAW RECIPES , written by her son Sean Bogdanovich, a trained, certified living foods chef. The world’s leading college of natural health, nutrition and holistic lifestyles.